Fab Lab Ajaccio is hosting an event to showcase the School Fab Lab Augmented Reality app. At Thursday, February 7, 2019 at 5 PM – 7 PM UTC + 01 at Avenue Napoleon III, 20000 Ajaccio, join if you can. 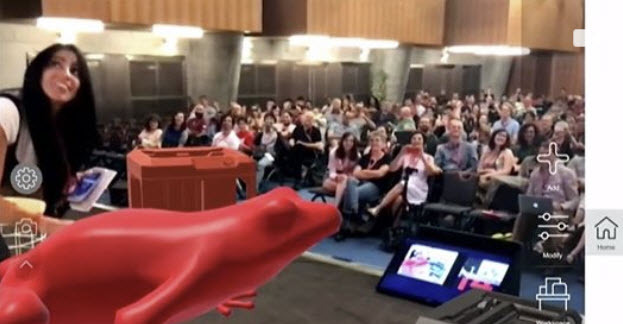 Presenting the Augmented Reality application for education created by Fab Lab Connect and first debuted in July 2018 at Fab14, world meeting of Fabs Labs. The app explored the concepts of augmented reality and virtual reality and how it can be used as a learning tool. This will be followed by a workshop on augmented reality: Discover Augmented Reality digital manufacturing machines, create a new Fab Lab, save and share the space created in augmented reality. Find the event info here.